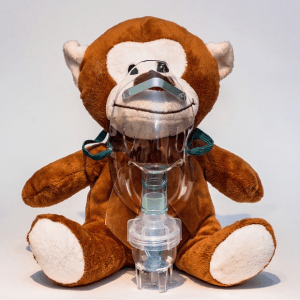 The potential of mRNA to induce therapeutic proteins and potentially treat lung disease has been harnessed in the form of an inhalable aerosol. An inhalable form of mRNA has been developed that could lead to new treatments for lung diseases such as cystic fibrosis. mRNA holds great promise for treating a variety of different diseases as it can induce cells to produce therapeutic proteins. A team of researchers from MIT (MA, USA) has designed an aerosol that permits mRNA to be inhaled. This is ground-breaking as a key previous barrier to disease treatments utilizing mRNA has been in finding safe and efficient methods to deliver it to the correct target cells. mRNA can be easily broken down, so it needs to be transported in a protective carrier. The aerosol enables it to be delivered directly to the lungs. “We think the ability to deliver mRNA via inhalation could allow us to treat a range of different diseases of the lung,” commented senior author Daniel Anderson (MIT’s Department of Chemical Engineering). The team utilized a type of biodegradable positively charged polymer called hyperbranched poly (beta amino esters) to create spheres that contained a mixture of the polymer and mRNA molecules that encoded luciferase. These particles were then suspended in droplets and delivered to mice as an inhalable mist, using a nebulizer. “Breathing is used as a simple but effective deliver route to the lungs. Once the aerosol droplets are inhaled, the nanoparticles contained within each droplet enter the cells and instruct it to make a particular protein from mRNA,” explained lead author Asha Patel (now Imperial College London, UK). The researchers confirmed the success of the aerosol by inducing lung cells in mice to produce the bioluminescent protein, luciferase. They now hope that the same success rate can be achieved by therapeutic proteins.